The project, commissioned by The Fertility Partnership, aims to raise awareness of the lack of female egg donors in the UK. 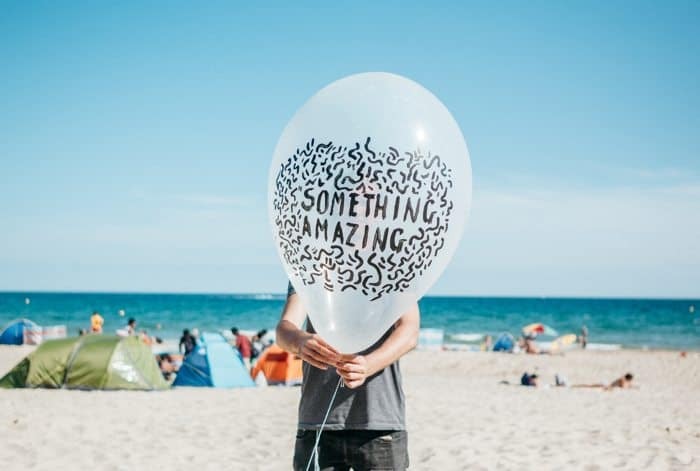 For ‘Something Amazing’ Stuart is creating a series of sculptural pieces, and limited edition print work. On the day, Stuart will distribute 1000 signed and numbered limited edition screen prints on foil balloons. But there’s a catch! If you get one you need to pass it on! The act of sharing the balloons is hoped to generate discussion around the idea of sharing something valuable and precious with another. Good support things like this BUT PLEASE make sure the balloons are bio degradable. Can you re-assure me of this? Hi Alison! Actually sadly giant balloons never can be bio degradable 🙁 However do not fear! no balloons were released into the atmosphere during this project and all were disposed of properly and adequately afterwards. We used recycled and eco friendly materials everywhere possible. We hope that the smaller foil balloons will be kept by their lucky owners for ever and ever!